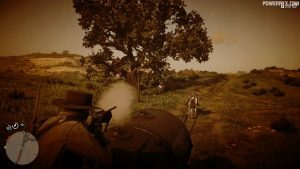 Pouring Forth Oil – II is the 17th main story mission in Red Dead Redemption 2 (RDR2). This walkthrough will guide you through all objectives of Pouring Forth Oil – II Main Quest including all Gold Medals for 100% completion. Pouring Forth Oil – II is unlocked when you complete Paying a Social Call. 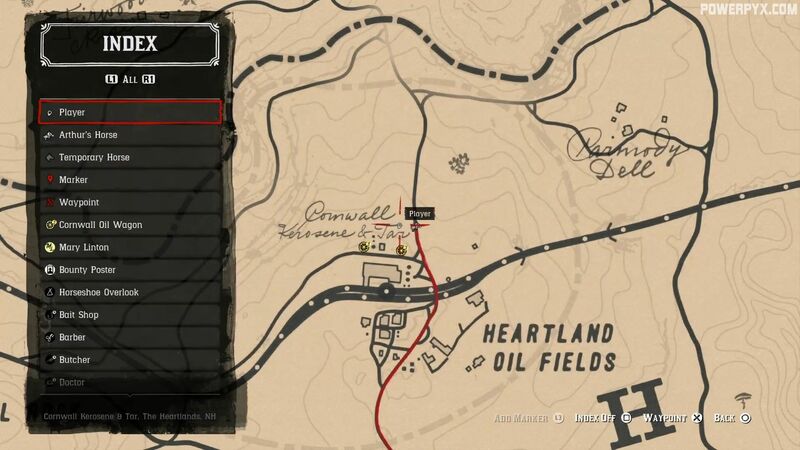 This quest marker won’t pop up for you right away until you return to camp. 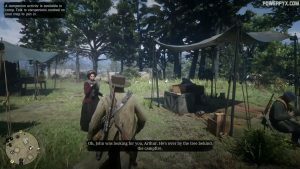 Susan Grimshaw will approach you as you’re walking by to tell you that John wanted to talk to you, at which point his marker will appear near the campfire. 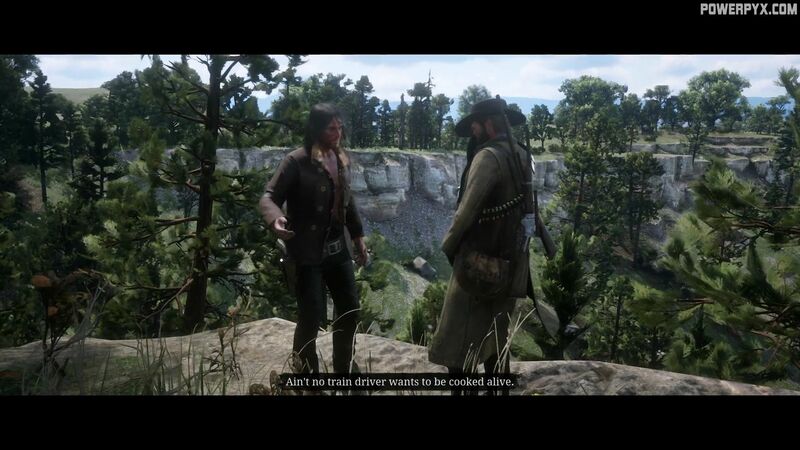 Marston has an ingenious plan for a train robbery, and he needs your help. 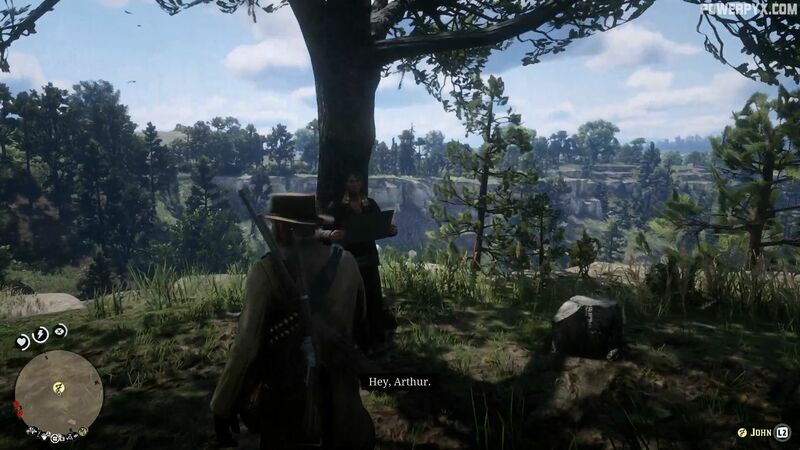 Arthur is genuinely impressed, and a little surprised. To pull it off, he’s going to need a few things, and the most important one is an oil wagon. You’re going to have to go hijack one and bring it to the drop off point near Dewberry Creek. The gold medal requirement makes this mission tougher than it would have been normally, but it doesn’t complicate things unnecessarily. 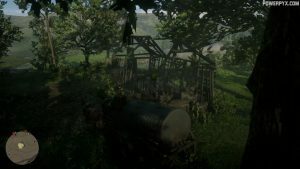 The Cornwall oil wagons will be labeled on your map, and can sometimes be found out on the road where they’re easier to hijack, as well as potentially closer to the drop off point. There will always be at least one oil wagon at the Heartland Oil Fields so if you can’t catch one while its out and about, check there. At this point, the job couldn’t be easier. Wait till nightfall. Sneak to the driver’s seat. The second you see riders following you however, instantly prioritize them and use Dead Eye to kill them all. After all, you’re sitting on a huge tank of flammable liquid. It does not respond well to bullets. Drive to the drop off zone, and the mission is over. 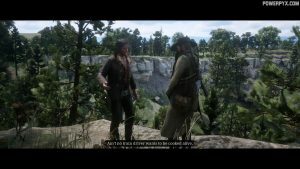 This finishes Pouring Forth Oil – II main mission in Red Dead Redemption 2. Now the next quest A Fisher of Men starts. 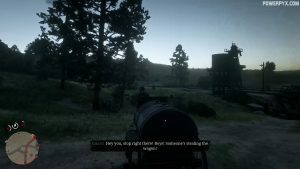 I literally skipped this mission by simply waiting a couple of days and then going back to John at camp and he told me he had taken care of the wagon. Does this void 100% completion?? I hope not. 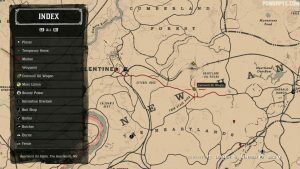 On my rockstar social club it now says 17/18 missions completed for chapter 2. Any ideas? 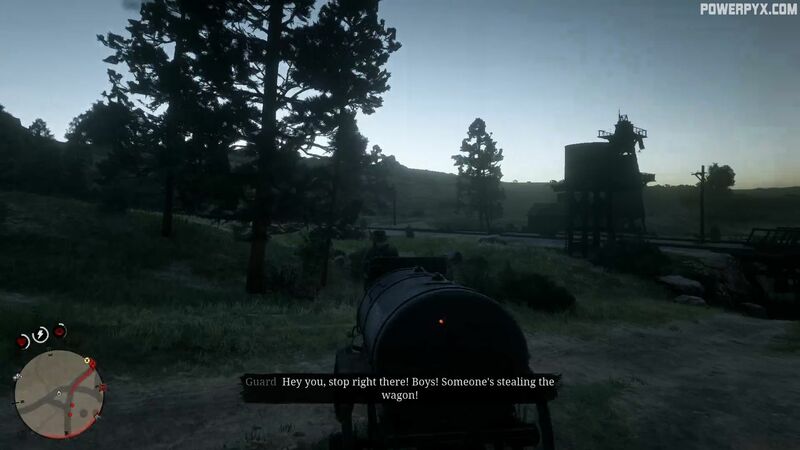 THIS STORY MISSION IS MISSABLE. I skipped too… This is frustrating because we cant go back. So.. yea, 17/18 story missions on chapter 2. 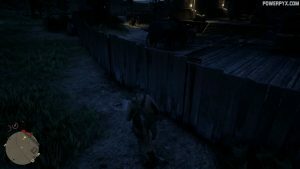 I hope rockstar patch this to count for the 100% completion. 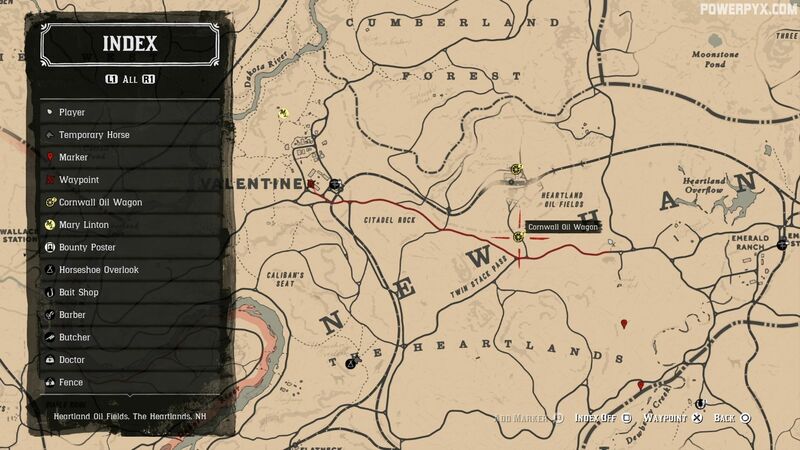 Little bit annoying when this mission isn’t listed as missable in the lending a hand trophy section. So powerpyx obviously didn’t know you could skip it. It’s not an honor mission, but I added it to the list to be safe. It doesn’t affect the Lending a Hand trophy as far as I know. 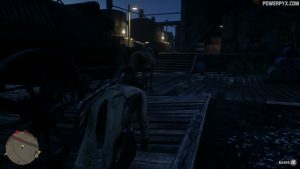 If missed would this affect 100% Completion? Or pop up at end game thanks. Doesn’t affect the 100%. 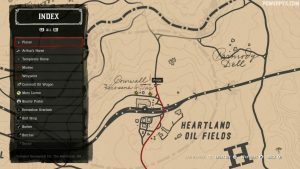 It checks off the story missions when completing the story, doesn’t matter if you skipped the missable missions. So missing this won’t affect any trophies or 100% or anything? I didn’t even realise this mission existed, but I’m 19 missions in so apparently I’ve missed it. Found an easier way to complete this mission, get your horse ready besides you and shoot at the wall, and the wagon horses will run away. Ride on your horse after them, and after they stopped, drive the wagon so there will be no riders after you and there is no need to kill anyone. 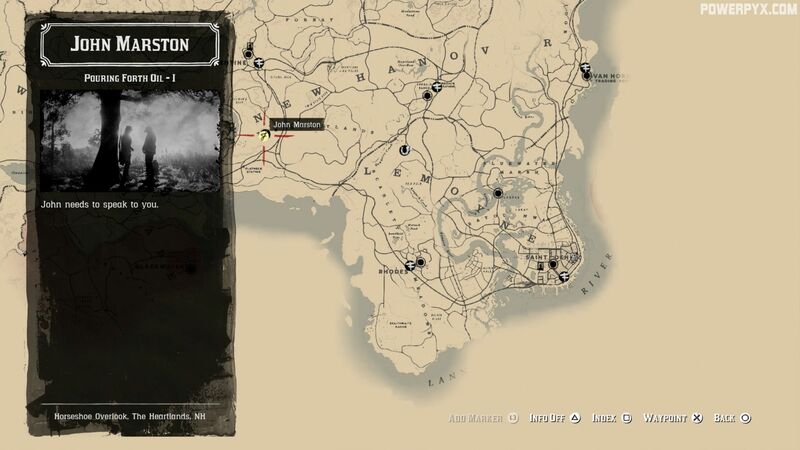 Hello, is there any way to tell that I missed this mission? 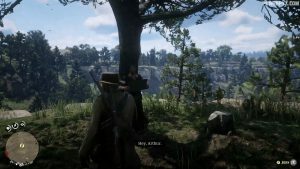 I completed the paying a social call couple days ago but Susan wont talk to me about John. Thank you. I thought I missed “Pouring Forth Oil”. 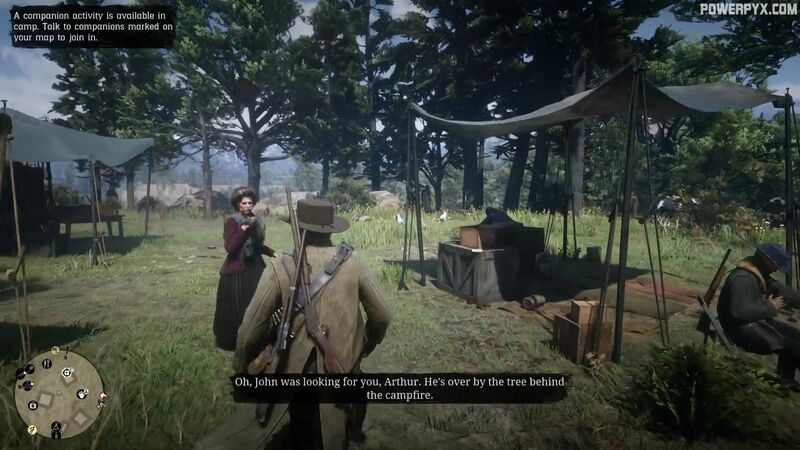 But John appeared in camp after i complete “First Shall be Last”. Then how do you get the fishing mission?